Feeling ho hum about holiday decorating? Greet the season with a playful attitude and deck your halls with boughs of jolly! You don’t have to trim the tree with the same-old-same-old year in and year out. Get creative! You can make an ornament out of anything – think papier mâchè fruit, cookie cutters, or even diamond brooches. 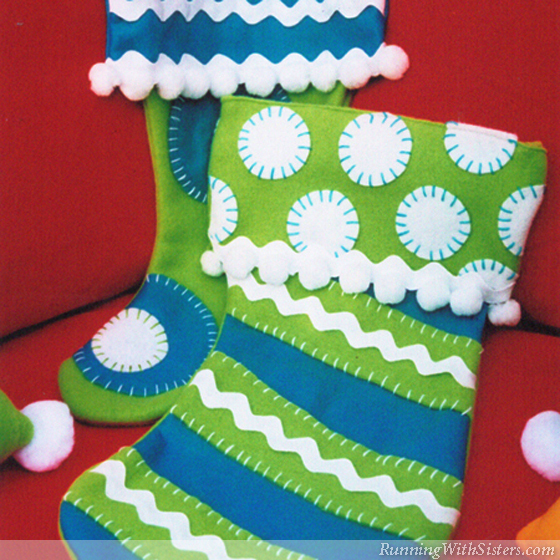 Trendy colors will add funky flavor to your standard stockings. Turn your yuletide treasures into a conversation piece with a cute and clever shadowbox table right out of Santa’s workshop. So get out your glitter, heat up the glue gun, and get set for a Christmas that’s cooler than the North Pole. If classic Christmas doesn’t ring your sleigh bell, then try your hand at stockings with a twist and throw pillows that’ll keep Santa guessing. Leave the red and green for Grandma’s house and go for trendy colors like teal, lime, and marigold. For sock-it-to-me stockings, whipstitch stripes and circles in fun patterns with embroidery thread, and embellish with giant rickrack and pom-poms. Not sure if you’ve been naughty or nice? Why not make throw pillows that cover all the bases. Now toss those pillows on the sofa and hang your stockings by the chimney with flair! Give your tree a million-dollar makeover with decorations any diva would die for. 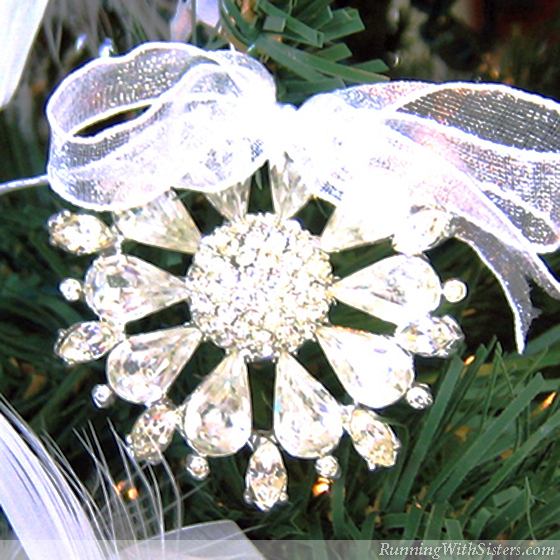 Treasures from your jewelry box become opulent ornaments when you trim your tree with brooches tied with organza bows. A feather boa makes a glamorous garland that will have your tree ready for a date with Santa. 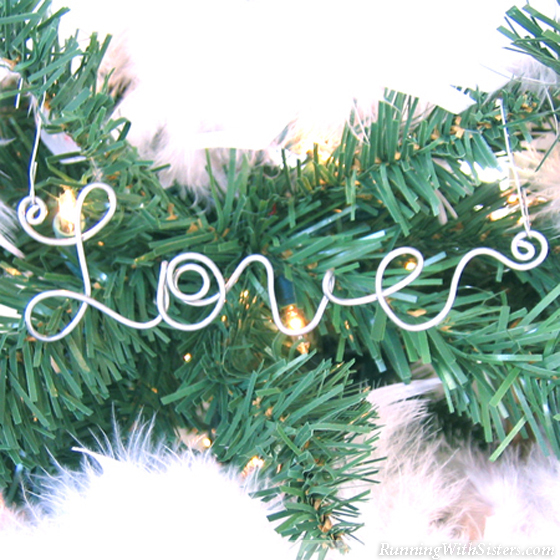 Add glitzy holiday words by twisting wire into merry messages like Love, Joy, and Peace. Bling a ding ding! Looking for a clever way to display your favorite holiday memories? 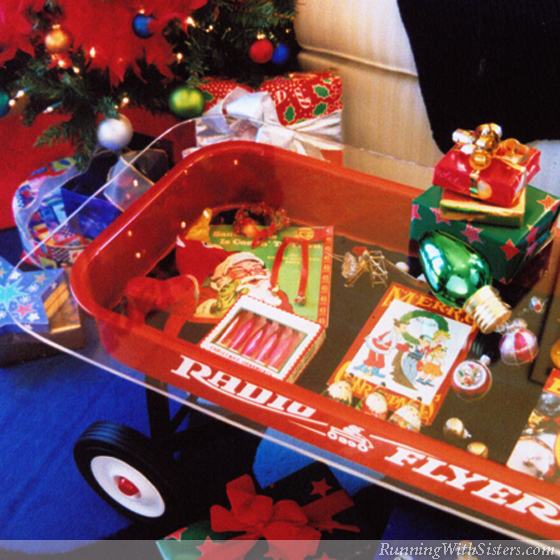 A shadowbox coffee table made from a red Radio Flyer wagon will showcase your Christmas collectibles with pizzazz. Top it with a custom-cut piece of Plexiglas and line the inside with black velvet. Then fill it with vintage ornaments and mementos, like the photo of your dog Bingo wearing antlers, your childhood letter to Santa, and a 45 of Elvis singing “Blue Christmas.” Now bring us some figgy pudding. Finish your holiday palace by rubberstamping snowflakes on your windows. Use white craft glue for that frosty look and have a flurry of fun. Stamp every window in the house and when you run out of windows stamp the mirrors, too. Talk about a white Christmas! Now let it snow, let it snow, let it snow!